APRIL Group recently joined the Programme for the Endorsement of Forest Certification (PEFC) as an International Stakeholder member on Feb 2, 2016. As a member of the world’s largest forest certification system, the pulp and paper producer will play an active role in supporting PEFC’s commitment to promote sustainable forest management in Indonesia and around the world. 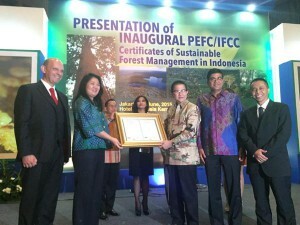 Now one of 22 International Stakeholder members, APRIL Group was the first company in Indonesia to receive the PEFC Sustainable Forest Management certification – a clear and trusted indicator that APRIL’s products have been sourced, purchased, grown and managed in a sustainable and responsible way. 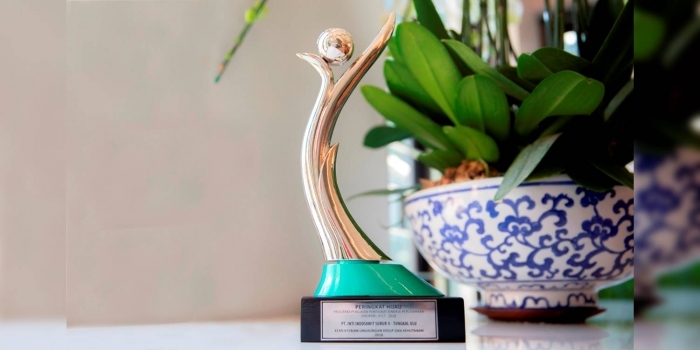 Similarly, Asia Symbol’s produced premium PaperOne 85g copy paper earned the honour of being first in the world to bear both PEFC and China Forest Certification Council (CFCC) logos. 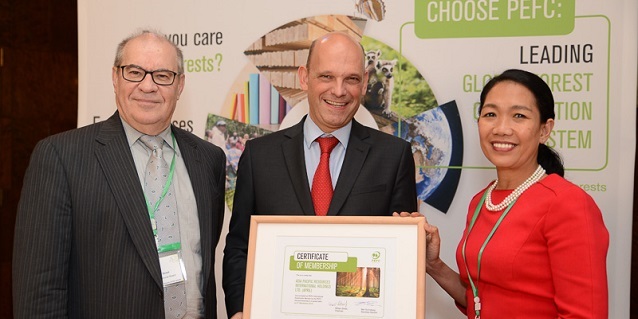 The announcement of the PEFC International Stakeholder membership follows major progress and achievements in sustainability made by APRIL Group. 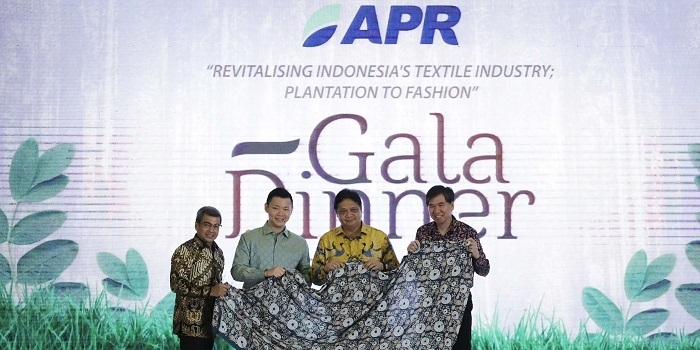 From making huge headway in its 1:1 conservation commitment, expanding the Restorasi Ekosistem Riau project, scaling up its pioneering Fire-Free Village Programme, to diligently implementing good land management practices, the company remains s ahead of the sustainability curve in the pulp and paper industry in the region. 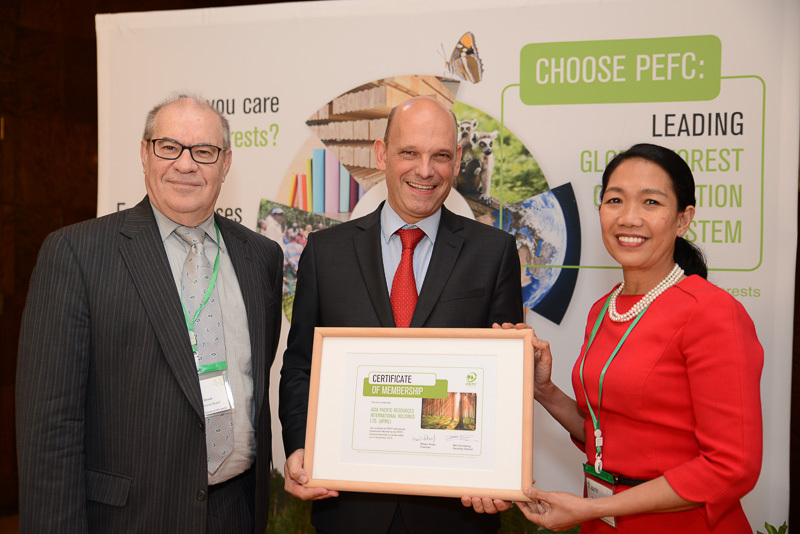 In addition to its PEFC Chain of Custody certification, APRIL Group now has more than 60 percent of its concessions in Indonesia PEFC-certified. As a PEFC International Stakeholder member, APRIL Group will be able to participate in PEFC’s annual General Assembly and have opportunities to join PEFC Working Group and Committees and collaborate on special projects.